(Sept 16): Wall Street rallied 1 percent on Thursday, buoyed by Apple's best four-day run since 2014, higher oil prices and ho-hum economic data that further dimmed expectations for an interest rate hike next week. Apple rose as much as 3.4 percent, giving the three major indexes their biggest boost, on news the first quantities of its iPhone 7 Plus were sold out globally. Data showed retail sales and industrial activity fell more than expected in August. Other reports, showing a slowdown in job growth and a slump in manufacturing activity for the month, further eased expectations that the Federal Reserve will raise rates at its meeting next week. "These things are not pointing to the need for the Fed to raise interest rates in September. That's one of the reasons you're seeing a relief rally today," said Jamie Cox, managing partner at Harris Financial Group in Richmond, Virginia. It was the fifth straight volatile session as investors focused on comments from policymakers and economic indicators in search of clues about the timing of interest rate hikes. Traders trimmed the odds for a hike at the Fed's Sept. 20-21 meeting to 12 percent after the blast of economic data, from 15 percent earlier, according to the CME Group's FedWatch tool. The energy index rose 1.09 percent as crude prices increased. Chevron rose 1.10 percent. With Apple surging 12 percent over the past four sessions, its suppliers also rallied. Chipmaker Skyworks Solutions jumped 6.38 percent and was the top percentage gainer on the benchmark S&P index. The Dow Jones industrial average jumped 0.99 percent to end the day at 18,212.48 points and the S&P 500 rallied 1.01 percent to 2,147.26. 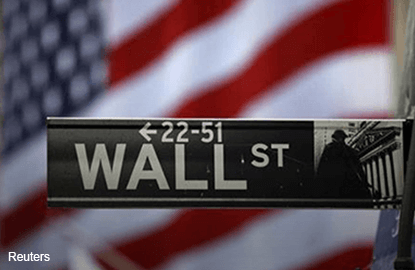 The Nasdaq Composite climbed 1.47 percent to 5,249.69. In extended trading, Oracle fell 1 percent after the software seller posted its quarterly results. Advancing issues outnumbered declining ones on the NYSE by a 3.14-to-1 ratio; on Nasdaq, a 2.73-to-1 ratio favored advancers. The S&P 500 posted 3 new 52-week highs and 1 new low; the Nasdaq Composite recorded 67 new highs and 40 new lows. About 6.7 billion shares changed hands on U.S. exchanges, just above the 6.5 billion daily average for the past 20 trading days, according to Thomson Reuters data.